Here I’ll be reviewing the Cobra F-MAX and F-MAX ONE Length irons. Cobra claims the F-MAX are their lightest, most forgiving irons yet. They are intended to deliver super game-improvement performance with maximum swing speed, distance and forgiveness at an affordable price point. How does the F-MAX really perform when push comes to shove? Is it a good option for higher handicaps? Is it lacking in any areas? Read on to find out what you need to know before putting these in your bag. The F-MAX and F-MAX ONE Length irons have been received very well. 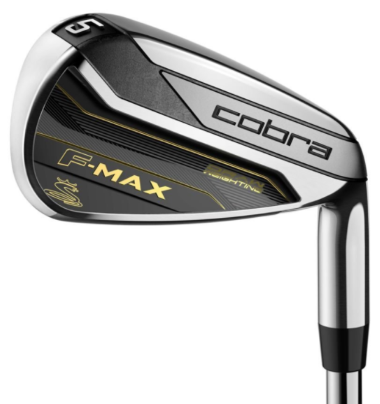 The F-MAX ONE Length has a 5-star rating on Global Golf and the F-MAX has a 5-star rating on the official Cobra website; overall, the irons have gotten very positive verdicts from critics and consumers alike. Lightweight Technology Built For Effortless Speed & Distance: The F-MAX iron features a light construction aimed towards those with moderate swing speeds. Larger, midsize grips improve comfort and consistency with every swing. Lighter shaft weights help golfers with moderate swing speeds generate more clubhead speed with less effort for increased distance. Lighter swing weights improve comfort during the swing to help moderate swingers see better clubhead speeds and an optimal launch. Improved Clubhead Construction: A deeper undercut creates more face flex for improved ball speeds on off-center hits, while a lower profile clubhead design moves the center of gravity (CG) lower and further back for a higher launch angle. The long irons (4-7) use a thinner, 17-4 stainless steel for improved speed and distance, while the short irons (8-SW) use a softer 431 stainless steel for soft feel and precision. The irons are nickel chrome plated, improving aesthetics and durability. Designed With Ease Of Launch And Forgiveness In Mind: Weight is strategically positioned back and heelward to increase moment of inertia (MOI) and promote straighter, more forgiving ball flights. An offset hosel design promotes higher launch with draw bias for straighter, more accurate approach shots. Weaker iron lofts help golfers with moderate swing speeds to get height on their shots. The F-MAX gap wedge (GW) and sand wedge (SW) have a specialty design that provides added versatility and shot control around the greens. How the F-MAX ONE Length irons differ from the F-MAX irons is, as you might guess, in the length of the clubs. Normally, foot positioning, spine angle, ball position and other variables change as you move up or down the set, decreasing the margin of error in your swing. With F-MAX ONE Length irons, every iron in the set is the same length as what Cobra found is most players’ favourite club, the 7-iron. This allows you to play every iron in the bag as if it was your 7-iron, increasing confidence and improving your results on the course. The stock set for the F-MAX consists of 7 clubs (5-PW, GW) while the stock set for the F-MAX ONE Length consists of 5 clubs (6-PW). Several stock shaft options are available. The stock grips for the F-MAX and F-MAX ONE Length are the F-MAX Lamkin R.E.L Mid Size (black) and F-MAX ONE Lamkin R.E.L Mid Size (blue), respectively. Full information on shafts, grips and their specs can be found on the Cobra website. Note that the F-MAX irons are available in women’s variants as well. 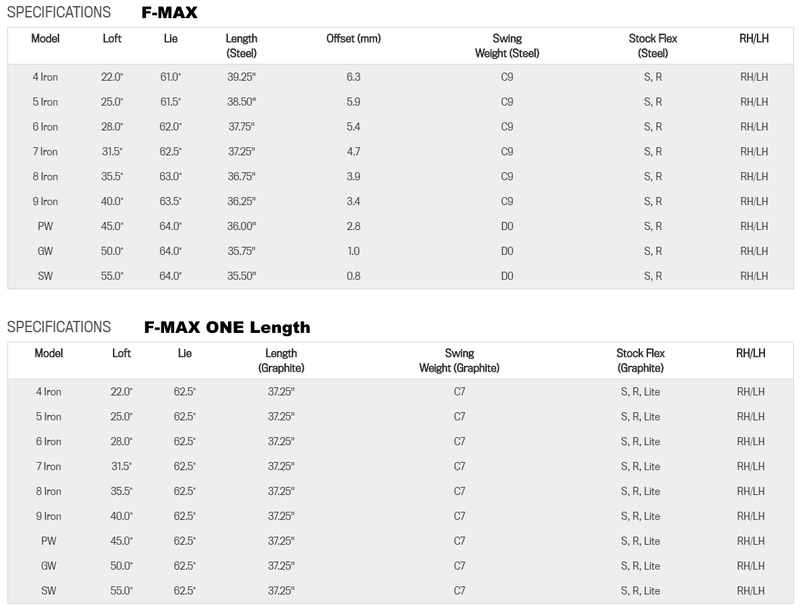 Below are the specs of the F-MAX and F-MAX ONE Length irons. Click or zoom to enlarge. Distance/Distance Control: Distance results with the F-MAX were pretty good all things considered. They’re long, but definitely not the longest I’ve tested. That’s to be expected though for several reasons: one being they’re not top tier irons (I’m not saying they’re poor quality, but they aren’t premium $1100+ irons), and another being that the CG is placed low and back, which increases spin. Still, though, the lighter swing weight promotes a faster clubhead speed and higher launch for players who normally have trouble getting height on their shots; this will absolutely increase your distance. Moreover, the high launch and excellent forgiveness translates to excellent distance control, allowing you to hit consistent precision shots into greens that land softly. Comparing the F-MAX and F-MAX ONE Length, I tended to hit the latter a touch (maybe 2-4 yards) longer; otherwise, performance was more or less the same. Forgiveness: This really stood out to me. As I touched on above, the CG positioning causes an increased MOI, and a high MOI translates to improved forgiveness; I definitely saw that here. Not only that, but the CG is more towards the heel which produces a draw bias that helps to straighten out the unintended cuts that so many amateurs hit. This obviously will keep your shots on your intended line. Ball speed preservation across the face is also good thanks to Cobra’s undercut in the head. Top marks in this category. Ball Flight/Playability: Also deserves praise. 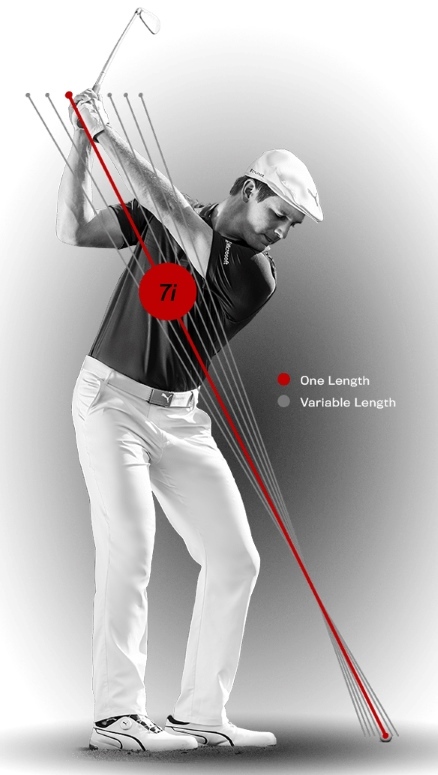 Typical ball flights with the stock shaft are high with a slight draw bias, although the ball flight tendency will vary from individual to individual. Indeed, the F-MAX iron is effortlessly easy to hit. 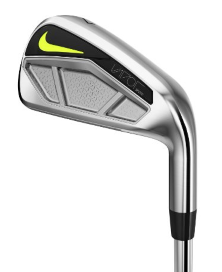 I imagine golfers with a naturally low ball flight and slight fade bias will find these irons to be a godsend. Skilled players can work shots to an extent. This iron is generally very stable through most of the hazards and obstacles you’ll come across on the golf course. The F-MAX ONE Length irons can be even easier to hit if you tend to do well with a 7-iron length. Look: The F-MAX is unmistakably a super game-improvement iron, sporting a long head from heel to toe, thick top line, thick sole and offset that increases as you move towards the long irons. 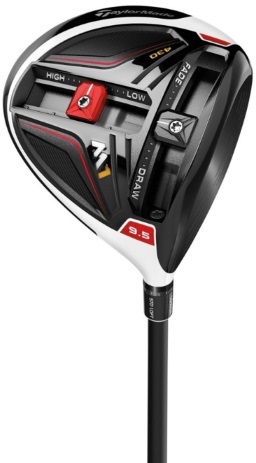 The offset in particular is substantial — it’s greater than other Cobra game-improvement offerings like the KING F6 and Fly-Z XL — but Cobra does a good job of not making it look so obvious. The F-MAX and F-MAX ONE Length look the same structurally, but they do have a slightly different colour scheme on the badge (yellow for the F-MAX and red/blue for the F-MAX ONE Length), and the stock shafts look different as well. The ladies variants of the F-MAX irons have a pink and light blue colour scheme. The chrome finish is lovely. I have nothing to complain about in the looks department. Sound and Feel: Well-struck shots with the F-MAX produce a nice “pop” sound. The undercut combined with the dampening material inside mean that the ball feels like it springs off the face at impact. Feel holds up well in a variety of situations. As you move away from the center of the face, the sound and feel dulls, but the actual shot turns out better than what the sound and feel implies. In terms of feedback, you generally know when you hit a poor shot, but during my testing I found it difficult to discern where exactly I made contact with the face using sound and feel alone. At the time of writing, Global Golf (go here) is offering stock sets and combo (hybrids included) sets of F-MAX, F-MAX ONE Length and ladies variants. I would also recommend checking the current prices on this Amazon page and eBay. You can find deals for used clubs as well on eBay. Get discounts for new and used F-MAX irons on eBay by clicking this special link. Best suited for: Golfers with a moderate swing speed who want forgiveness and control in their irons. Best places to buy online: Please see the buying section with links directly above. The F-MAX is a quality game-improvement iron from Cobra that packs a lot of value for the price. It delivers great distance, great distance control, a high launch and exceptional forgiveness, with options for ladies and for those who prefer the same club length throughout the set. 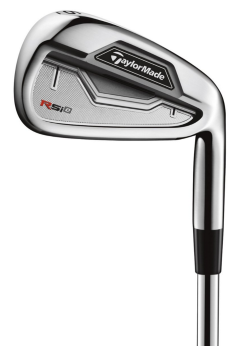 This iron is a must-try for players who want an iron with super game-improvement capabilities without paying four figures for a set. If you have any thoughts or questions about the Cobra F-MAX irons, drop a comment below and I’ll get back to you as soon as I can!